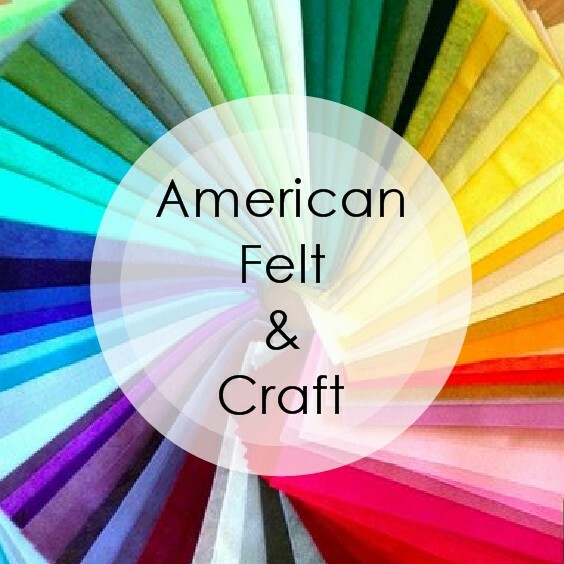 You know the Shtick…25 days 25 felt Christmas crafts and away we go! 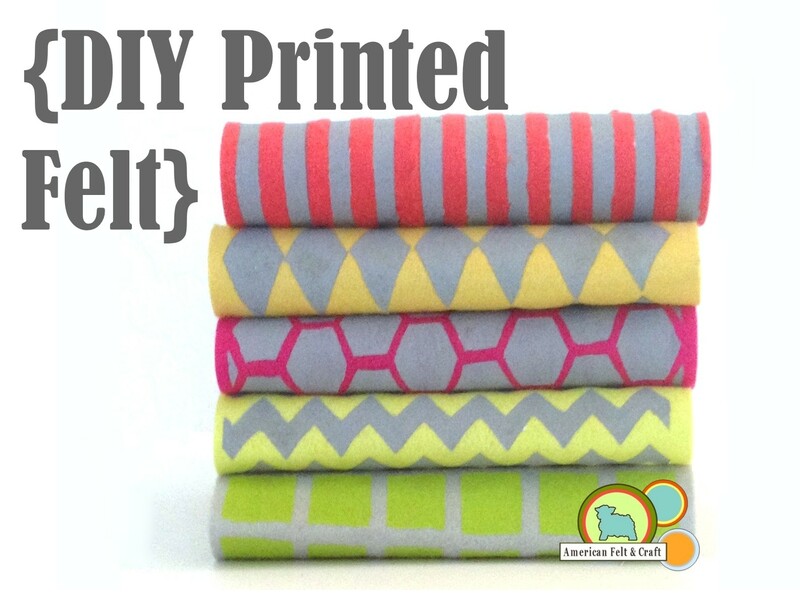 Even better Amy Smart’s Christmas pillow tutorial is LOW -SEW those dots are attached with glue. 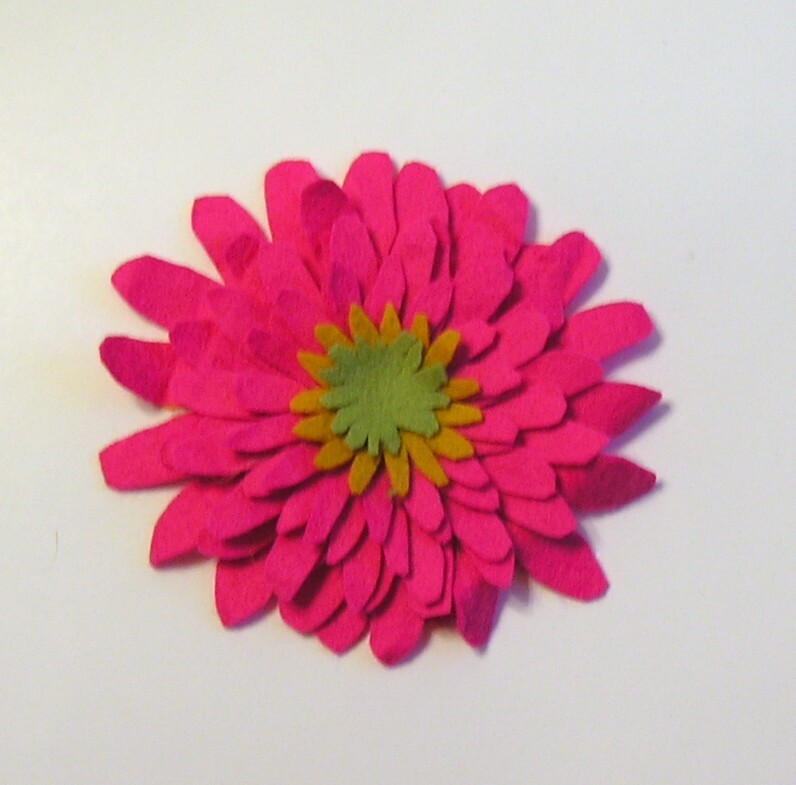 I think an elogated version would also make an adorable draft stopper for doors. Missed some of the 25 days and want to start from day one? 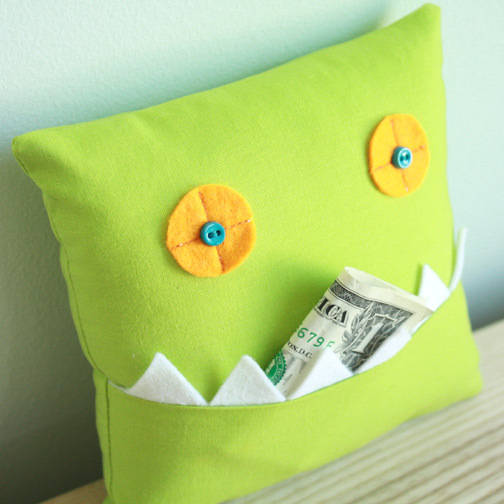 Felt tooth fairy pillow tutorial roundup. 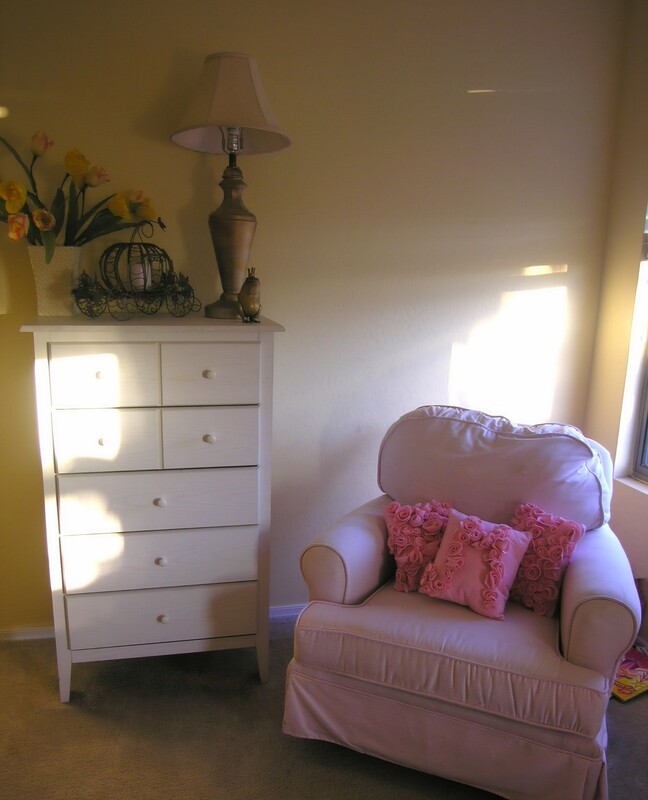 My daughter’s tooth has been lost and another wiggly one is right behind it and I somehow managed to recover from my wisdom tooth extraction without any further complications…ok one…I seemed to have formed an addiction to “Dance Moms” on Lifetime…is it my fault they had a marathon?!? 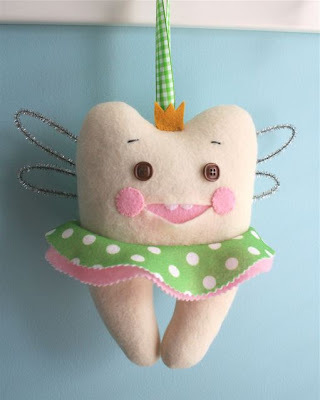 Anyway I thought what better way to celebrate (teeth not Dance Moms) than with more felt tooth fairy pillow awesomeness! 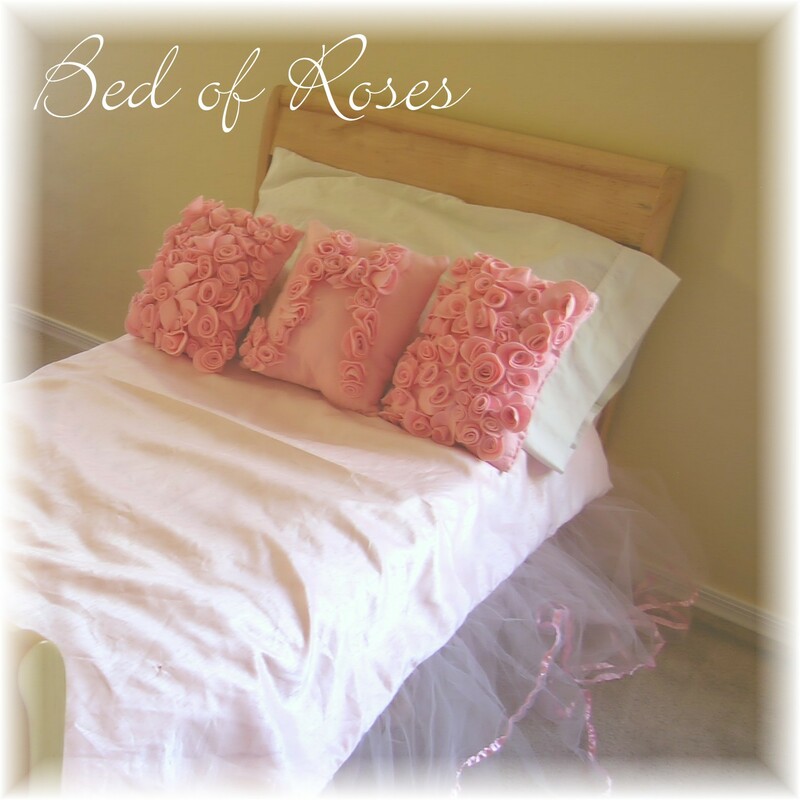 Just click on the picture to visit each site. 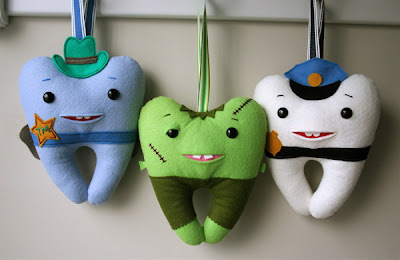 Tooth officer, tooth marshal, and frankentooth available on ETSY from mmm crafts. 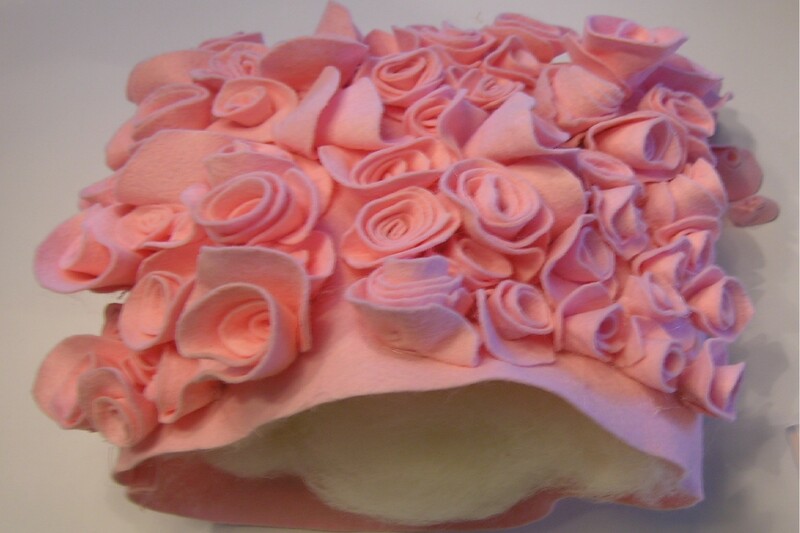 Free ballerina tooth fairy felt pillow tutorial also from mmmcrafts. 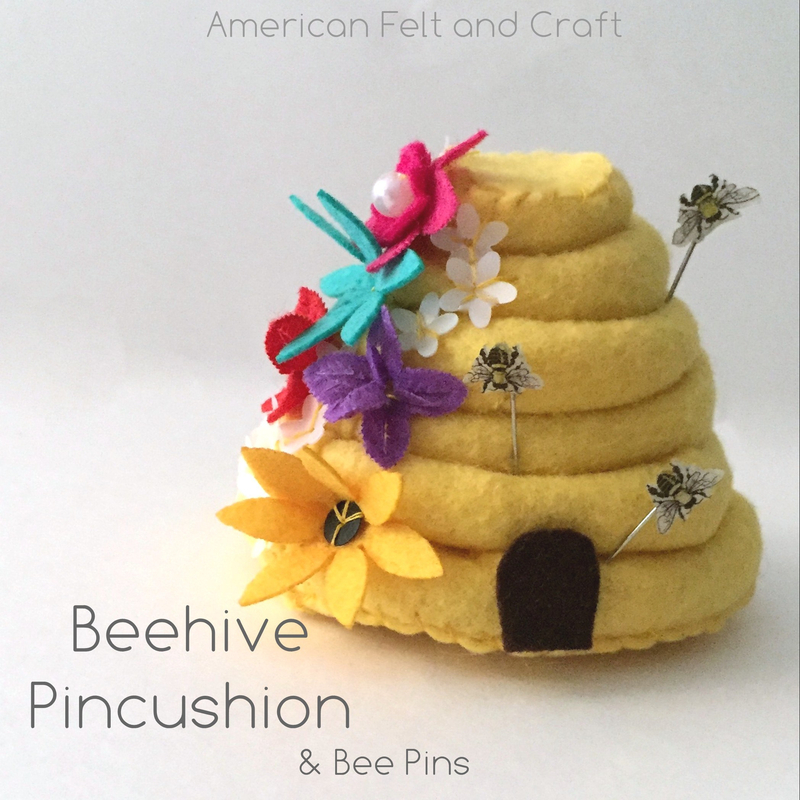 Matryoshka Felt Tooth Fairy Pillow tutorial from Dragon and Phoenix! 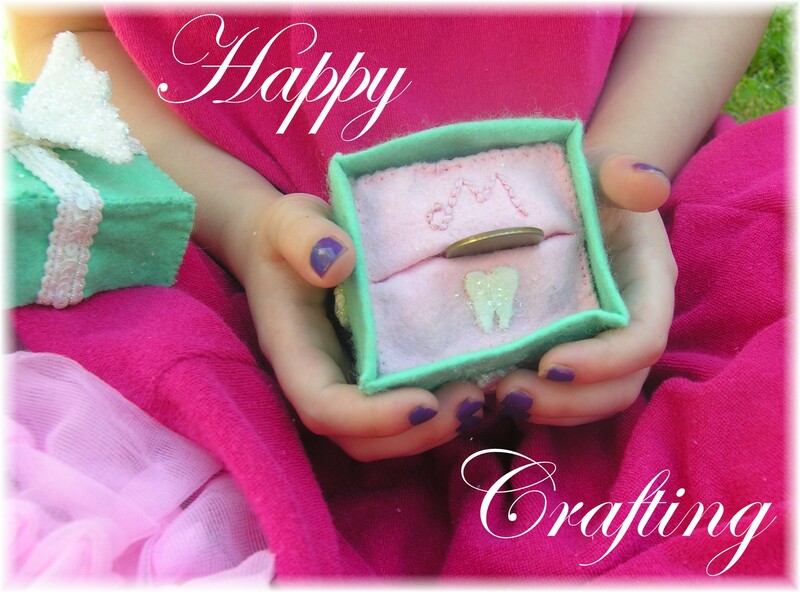 Happy crafting and don’t forget to brush! It’s official my baby girl has wiggly front teeth. 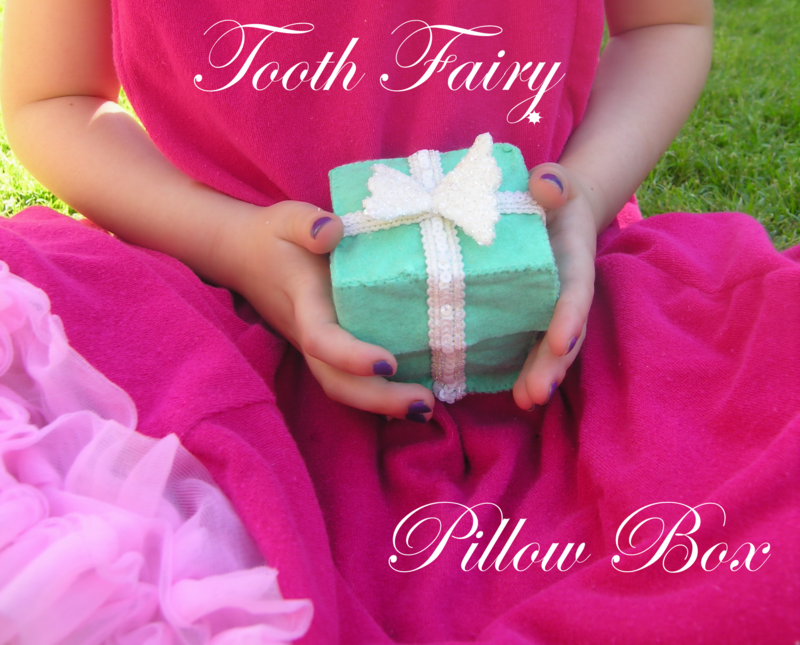 A tooth fairy pillow has long been on my list of things to make. 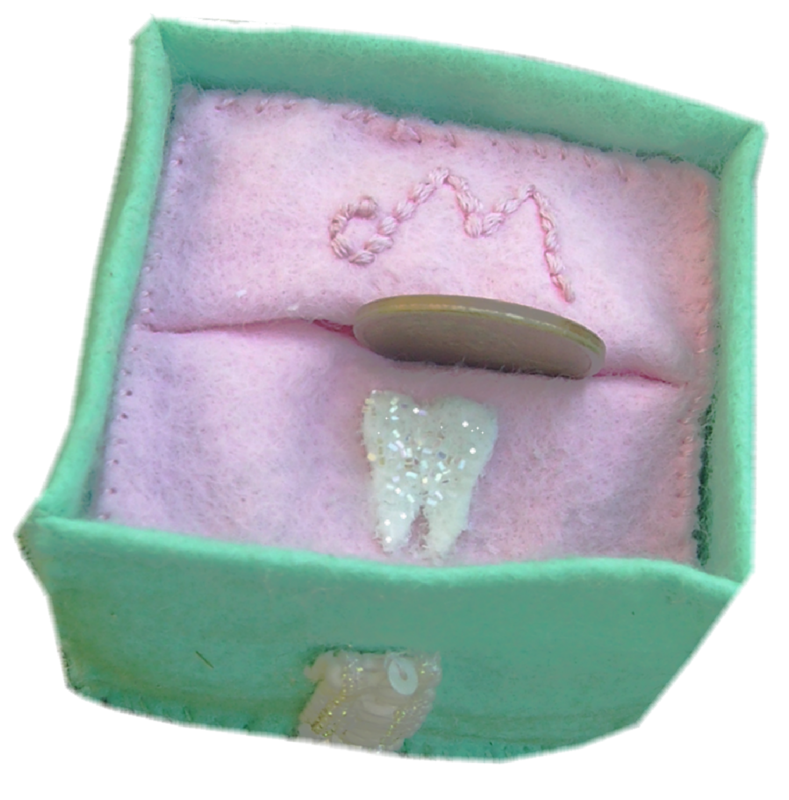 When designing a tooth fairy pillow I knew I wanted something to make the tooth seem special, worthy of a girl who prides herself in her shiny white teeth. I also knew it needed to have easy access for exhausted tooth fairies waking up at 2 am because the plan to stay up and wait didn’t pan out. But maybe most importantly it had to be soft so it could be slept on. 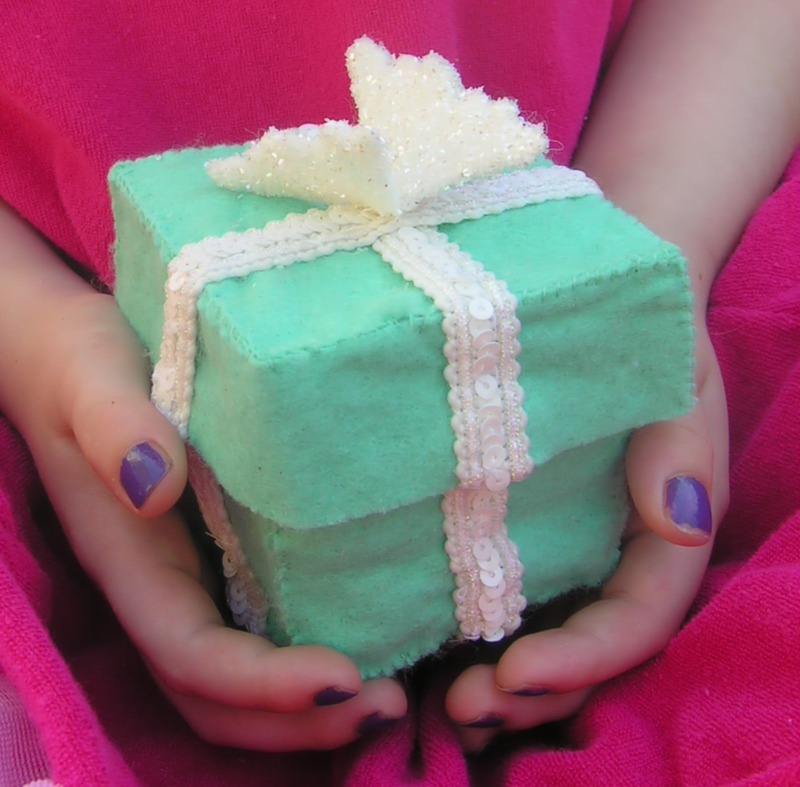 It’s heavily influenced by a Tiffany box, but rather than a bow I have given it a little set of sparkly tooth fairy wings. 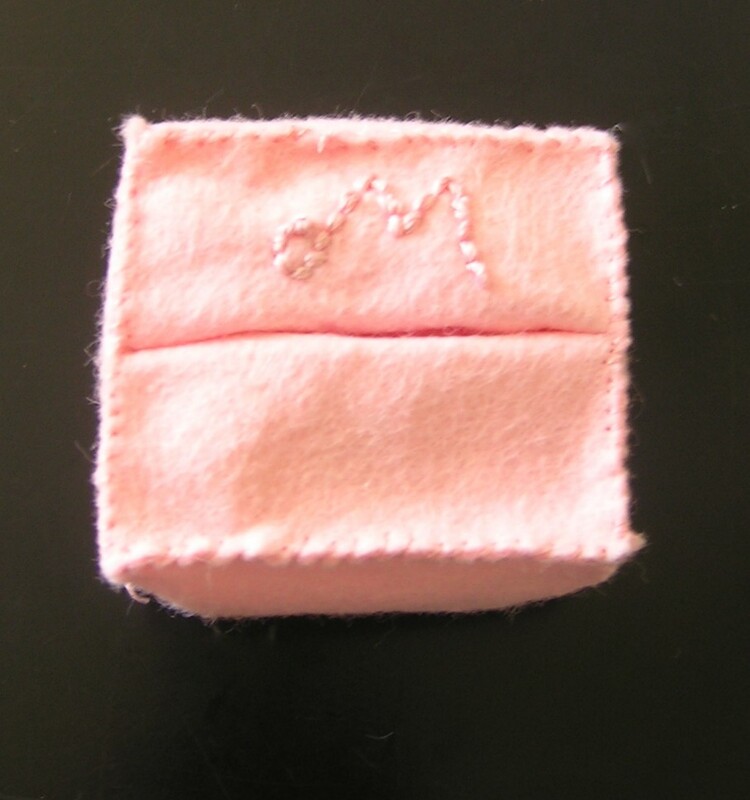 Inside a cushion to hold the tooth and or the loot and her initial monogrammed up top with a stitch I like to call, “geeze I hope I didn’t sew my finger into that stitch” and a shiny molar. 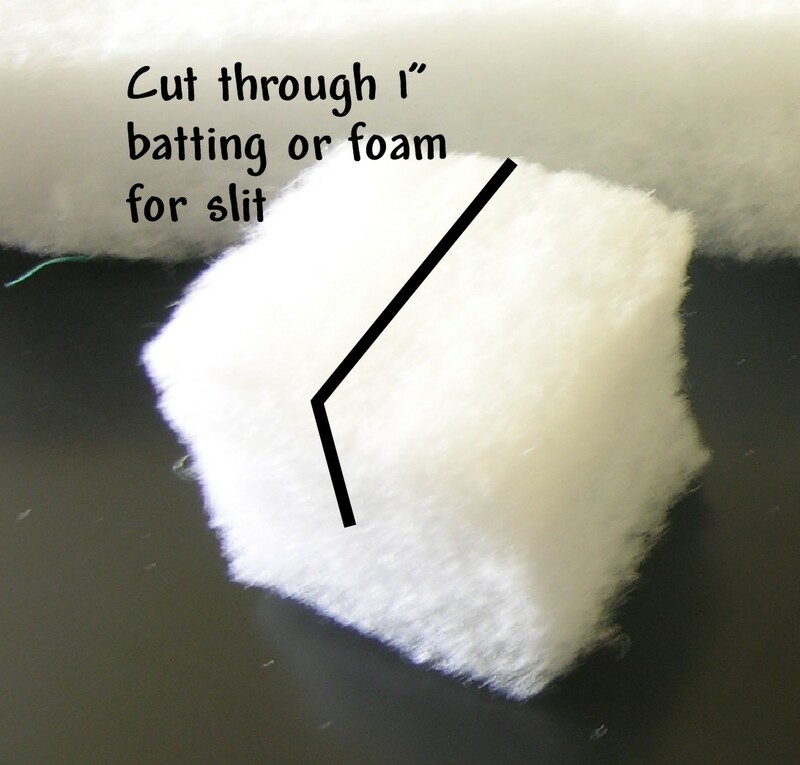 Cut thick batting or foam into a 3″ cube, cut 1″ slit into top. 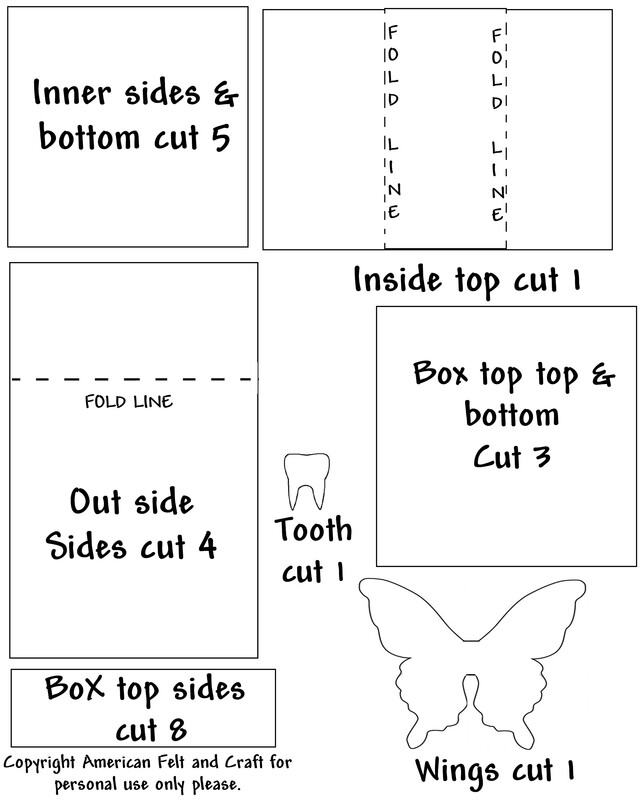 Cut out the wings and molar from the template provided below. 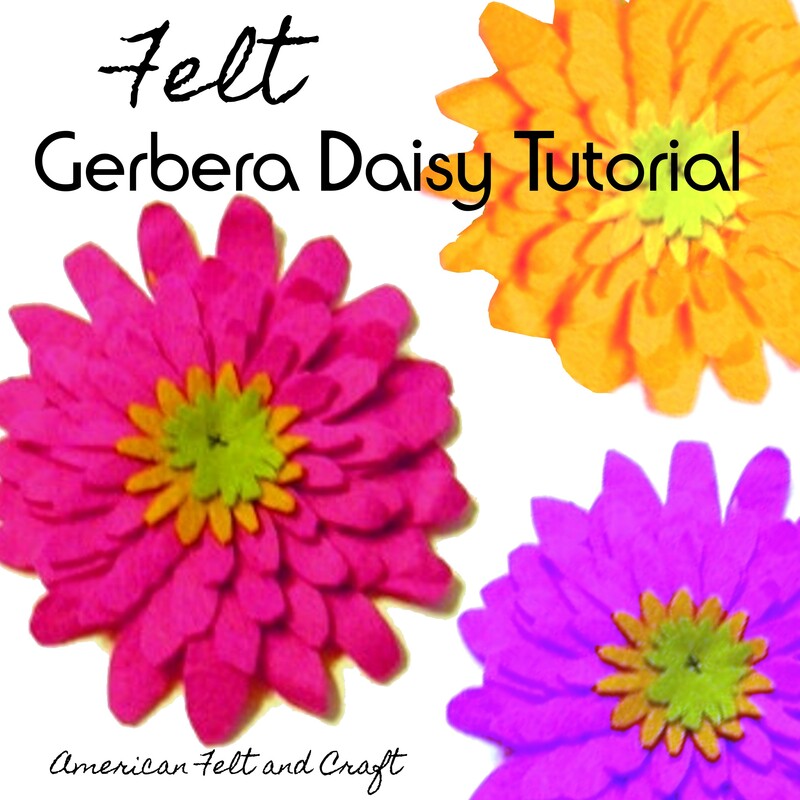 Cover with a thin layer of felt glue and glitter or sparkly puff paint. Allow wings to dry for 2 hours or so before adding glitter to back of wings. 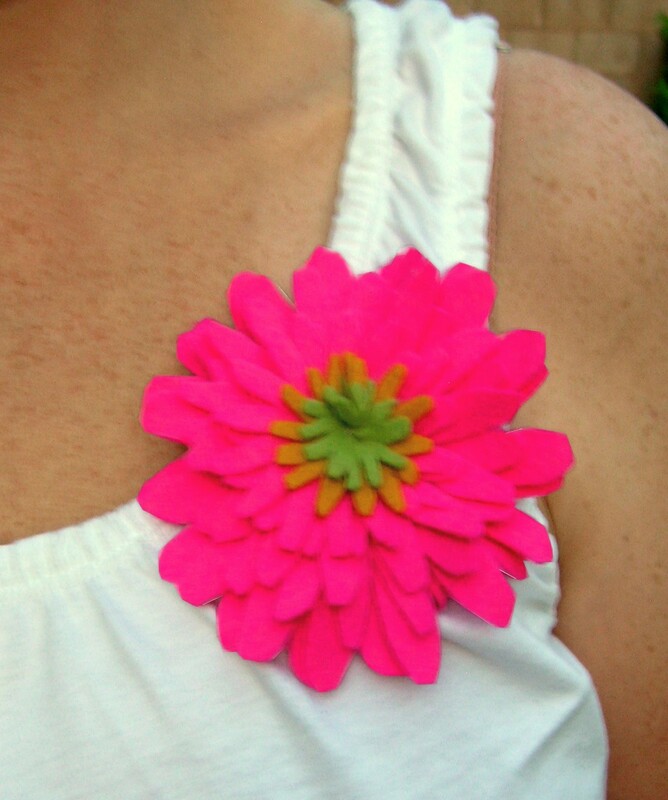 Glue or sew tooth onto top piece, embroider initial if desired. 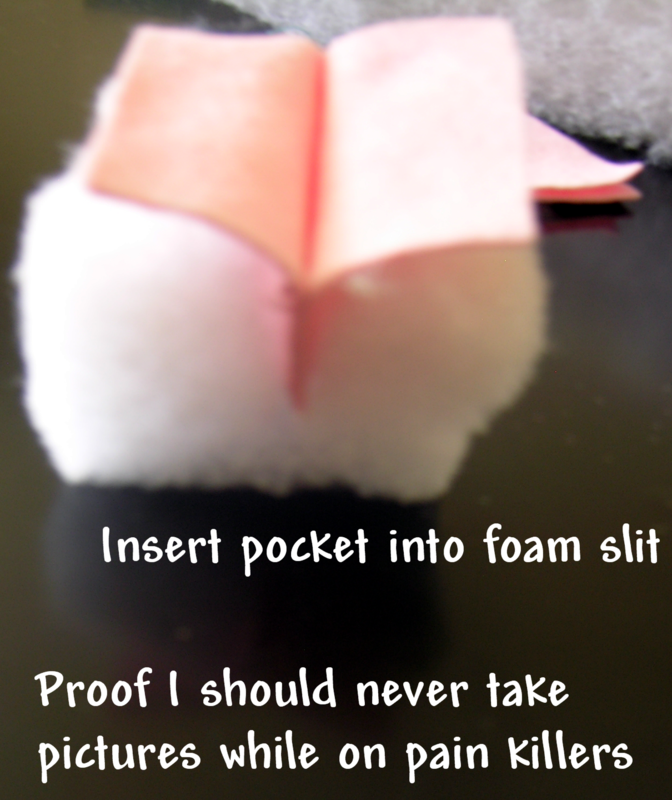 Place top into foam slit and attach 3″ x 3″ sides and bottom. 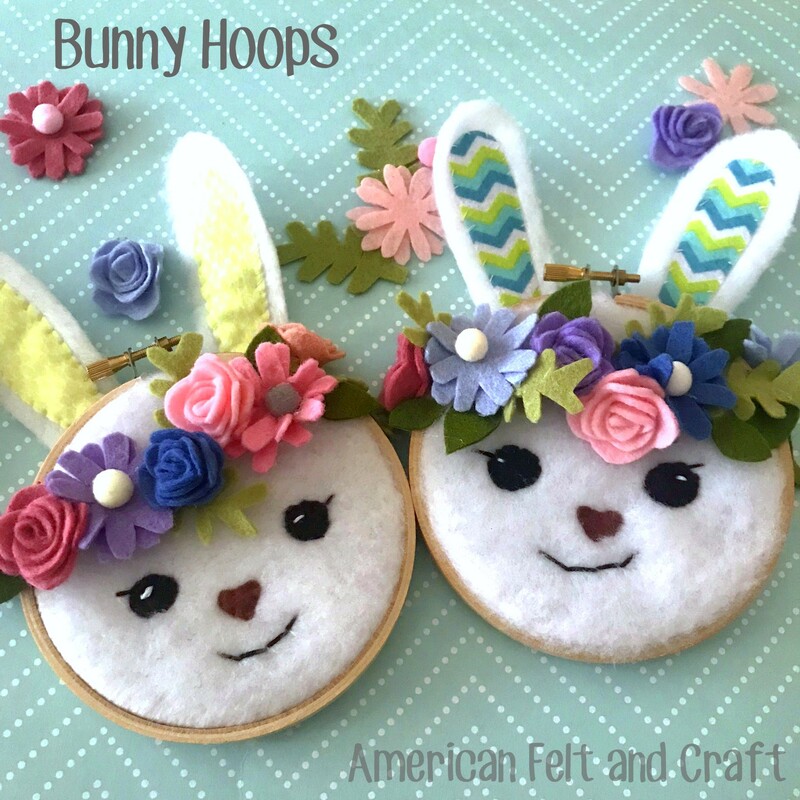 Attach sides to top & bottom with an overcast stitch and matching thread. 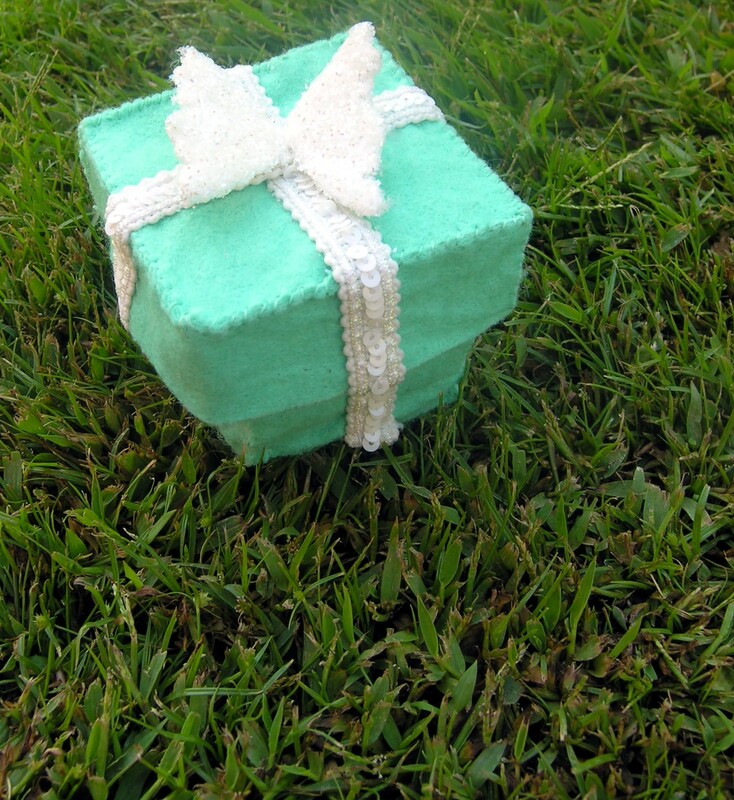 You should now have a pretty block. 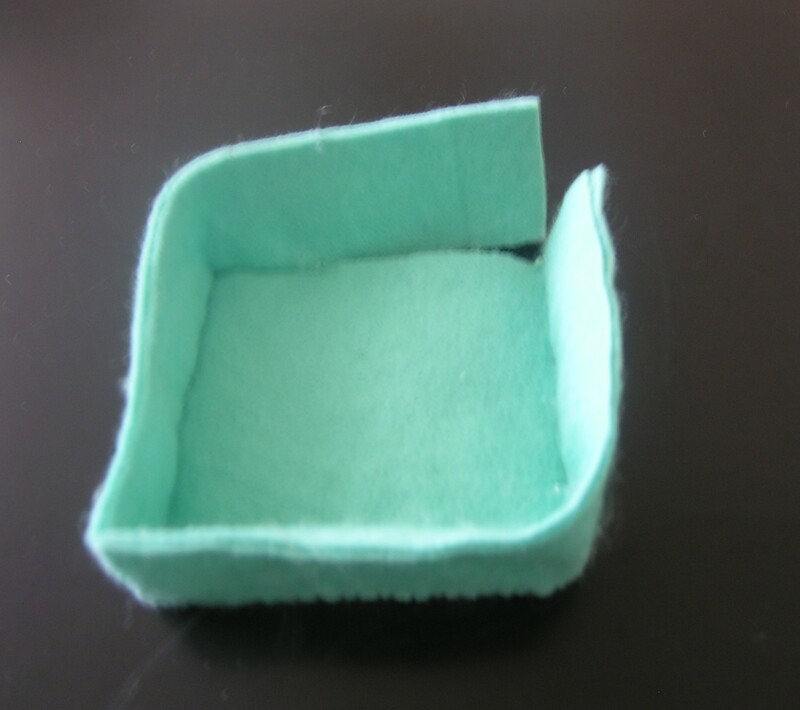 Attach sides to bottom piece to create a box the same way you did with the cushion above. 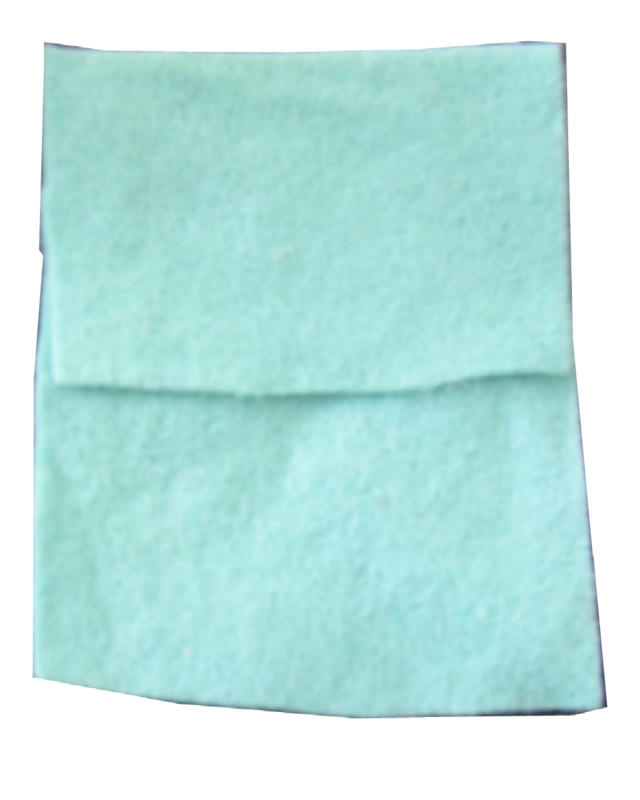 Slip cushion into finished box. 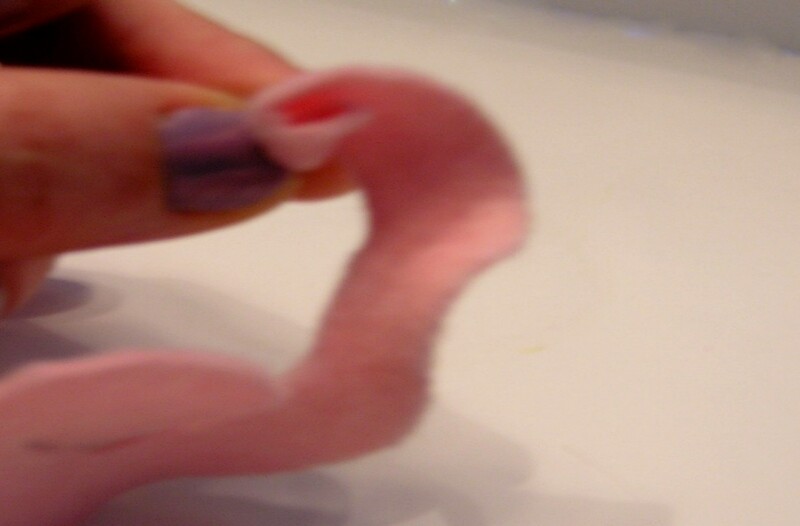 Add felt glue to the bottom of your tooth fairy box if desired to hold cushion in place. 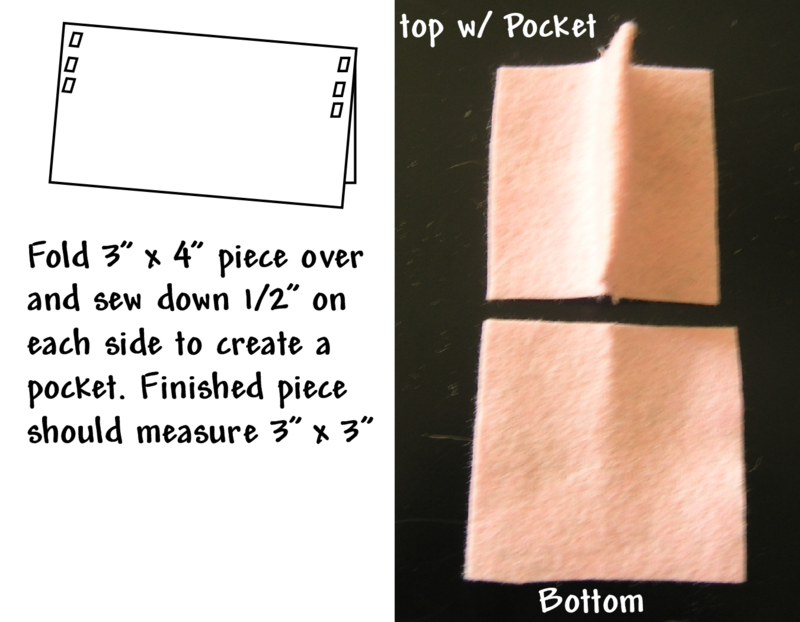 Double the pieces for the box top either by overcast stitching along one edge to connect the pieces before assembling the top, or glue two pieces together with felt glue. Repeat with top of box. 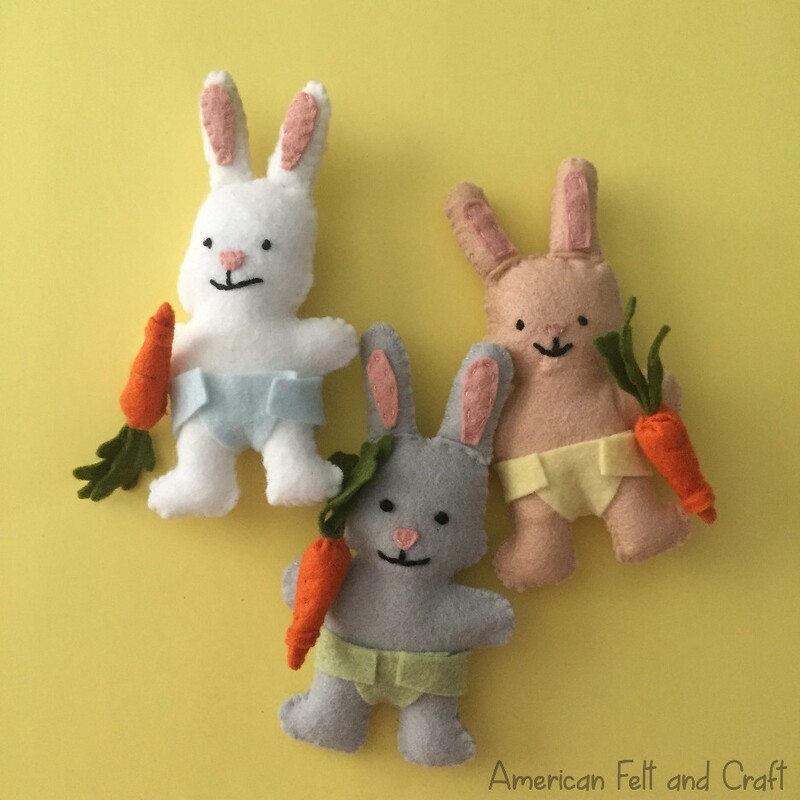 Assemble the top with an overcast stitch and matching thread. 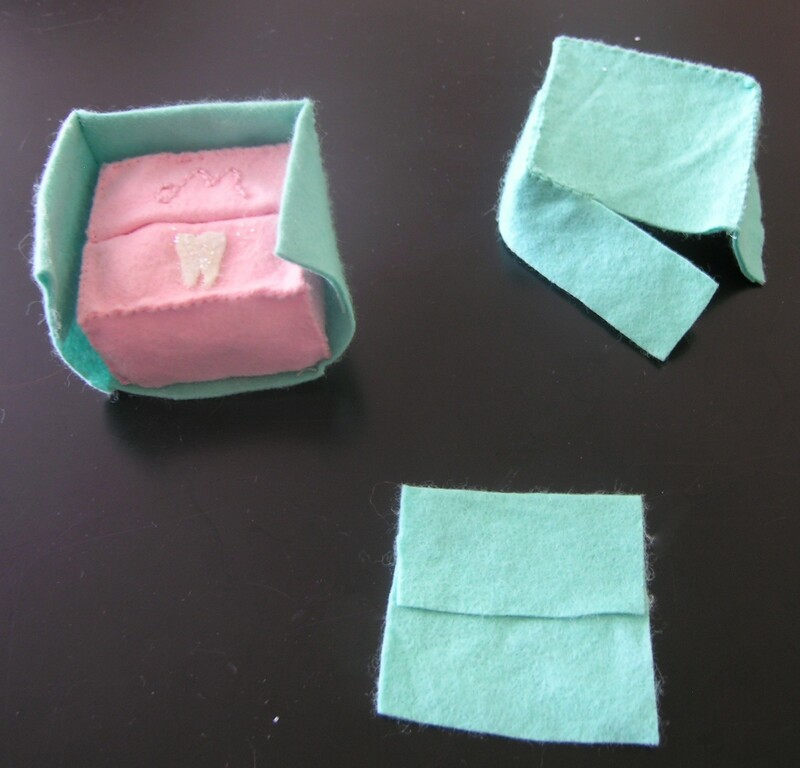 Attach tooth fairy wings to center of your box with felt glue or a few running stitches. 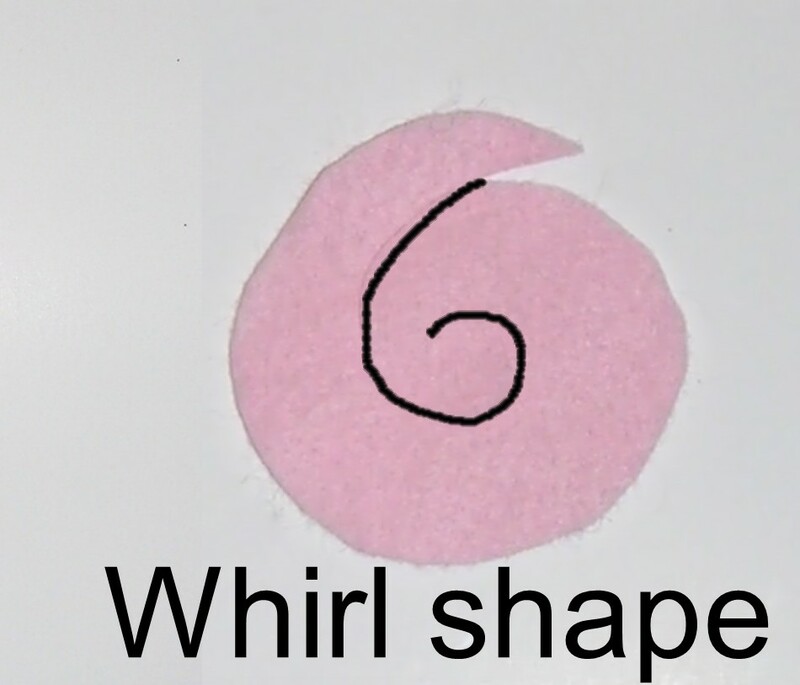 Template: Fit to print on standard size printer paper, enlarge first. 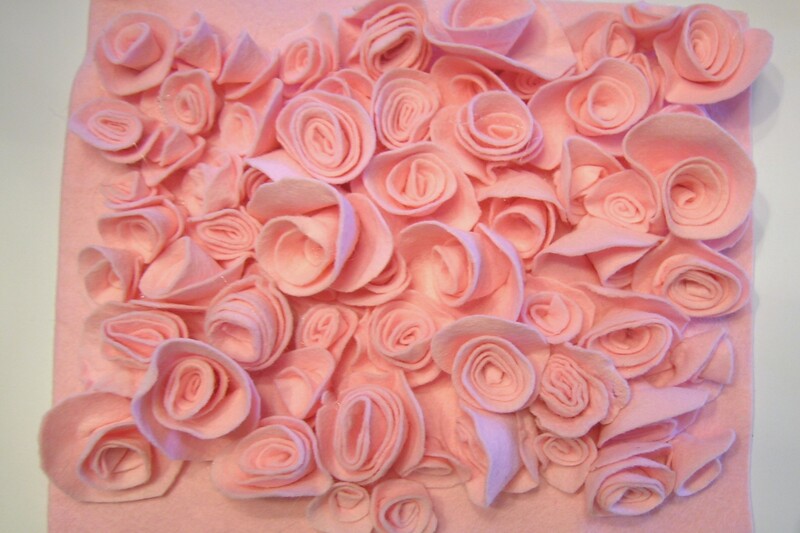 ~I love the way this turned out. Here’s hoping it scores me a few bonus points with the tooth fairy!